Safemaster’s Inspection and Maintenance Services are dedicated to the upkeep and maintenance of our installed products and to ensuring that our customers are kept fully up to date. We have a commitment to make sure that we are fully up to date with the regulations that govern these industries today and are competent to upgrade and restore systems to full compliance. The development of an effective maintenance service benefits our customers in that it improves the quality of assets and lowers the overall cost of ownership. Therefore, we combine both height safety equipment maintenance and inspection/certification into a single work programme. We have repaired and restored various system types ranging from single anchorages to complex ladder and walkway systems. 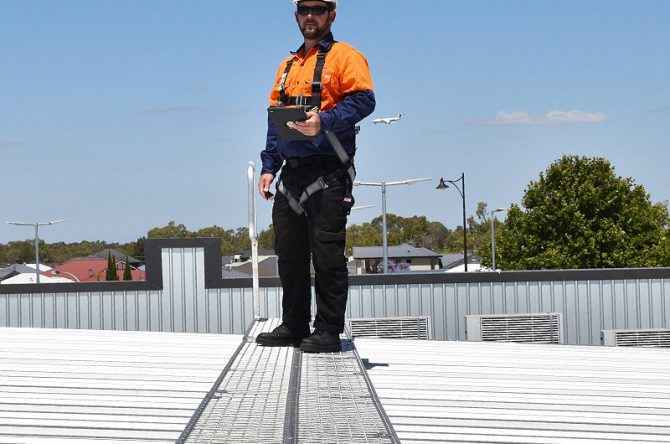 Safety is our trade, but is also very much our business as we strive continuously to raise standards by combining regulatory roof inspection with maintenance services.